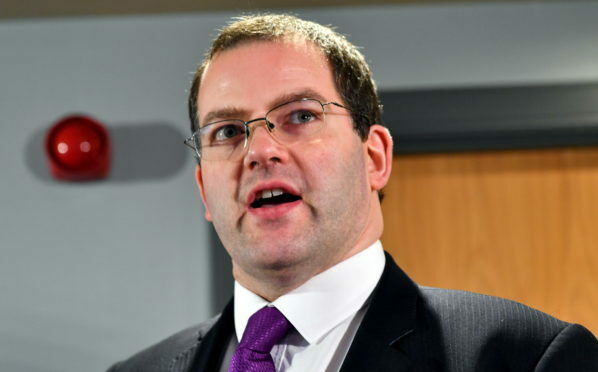 Former SNP MSP Mr McDonald stepped down as childcare minister after claims of sexual harassment emerged in December, and subsequently quit the party – now sitting in Holyrood as an independent. First Minister Nicola Sturgeon, who initially defended Mr McDonald, argued he should “give his constituents the opportunity to elect a new MSP” and former long-term allies including Aberdeen North MP Kirsty Blackman also turned on him. An internal inquiry by the party found a pattern of “inappropriate” behaviour towards two women. Mr McDonald admitted his actions “fell below the professional standards that should be expected” but has however continued as an independent MSP for Aberdeen Donside. There has never been any suggestion of criminal behaviour by Mr McDonald. WEP leader Sophie Walker has now revealed they will put forward a candidate in Donside if Mr McDonald stands again, and hopes to split the vote to highlight gender equality. Mr McDonald won a massive 11,630 majority in the seat in the 2016 election. He declined to comment.